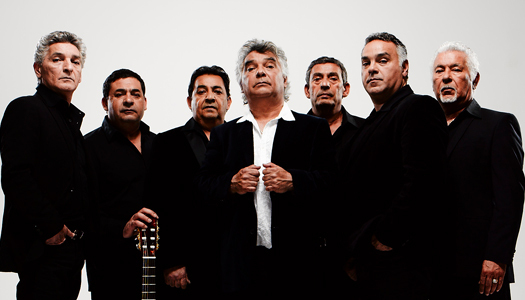 The Gipsy Kings are largely responsible for bringing the joyful sounds of progressive pop-oriented flamenco to the world. The band started out in Arles, a village in southern France, during the '70s when brothers Nicolas and Andre Reyes, the sons of renowned flamenco artist Jose Reyes, teamed up with their cousins. Their eponymous 1988 album sold tremendously in France and appeared on the Top Ten album charts in 12 European countries, including England; in 1989, it spent 40 weeks on the U.S. charts and went gold, becoming one of the few Spanish albums to do so. Individual members of the band have put out their own albums since their widespread success in the US. Despite members leaving to pursue solo careers periodically, the original team remains strong and most recently released a live, self-titled album in 2014.